Coupé, 385 HP, 0-100 km/h in 4.4 seconds, 295 km/h. Are you ready for an amazing race? Meet the GT4! The GT4 is a beautiful new sports car that was created by an old “recipe”. It belongs to a very famous lineage. Its older brothers are the 911 GT3 and the first generation Cayman. Its cousin is the Porsche Boxster. Now that’s something! For € 85,779 you get a 2-seater beast with a six-speed manual gearbox and a top speed of 295 km/h (183 mph)! What’s in it for women, you ask? Forget the technicalities, ladies. This car is not only beautiful from the outside, but the insides as well. The seats are from fine leather! Are you rich enough? You can buy this beauty this March. My heart skipped a beat when I heard the wonderful engine for the first time. You might say, well, another sports car, so what? But, there’s something about the engine that I can’t describe. It’s not only about the engine. If you have the chance to see it speeding up on the Nürburgring, you will understand. You have to feel it. Just close your eyes, enjoy and feel. 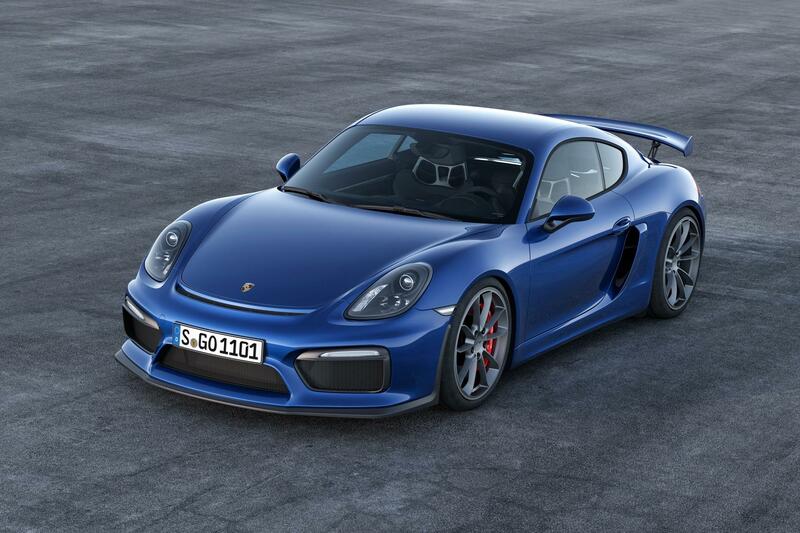 Meet Porsche Cayman GT4. When my boss gave me this topic to cover for this article, I was so happy I had to share my joy with my colleagues. If I said, the girls didn’t get my enthusiasm, it would be an understatement. But with the boys, that was something different. My colleague, an IT-guy, said something about this car that got my attention. He said this car is a great piece made by an old time-proven recipe. The GT4 belongs to an exceptional lineage. Its older brothers are the 911 GT3 and the first generation Cayman. Its cousin is the Porsche Boxster. Isn’t it great? I’ll start by talking about the power this beast possesses, because, honestly, guys, isn’t that exactly what we all want to know, as a first thing, when it comes to sports cars? This metal sweetheart can go from 0 to 100 km/h in 4.4 seconds, which is a bit quicker than the GTS. The top speed is 295 km/h (183 mph) and it clears the Nürburgring´s north loop in 7,40 minutes! Well, is your mouth already watering? The large spoiler on the back of the car prevents you from taking off in the air, in case you were really racing. The hedonists will surely appreciate the six-speed manual gearbox. Because who wouldn’t want to tame all the 385 horses and show them, who the real master is! When can you buy this beauty? Get ready and start saving, because GT4 will be ready for delivery in March. To have it in the garage next to your old good Felicia, you need only one thing – € 85,779 (2,38 mil. CZK) in your bank account. one’s mouth waters – a person or animal has a longing desire for something; the sight causes to have an increased flow of saliva.